Alex Protzman is the Executive Director of LIFE Skills Foundation. Alex has worked with youth and young adults for over 20 years in NYC, Minneapolis, Costa Rica and here in Durham, NC. He has worked with many organizations and networks to help create supports that are innovative and effective for Transition Age Youth experiencing homelessness or instability. He has received awards and given talks, but can’t remember which ones. He received his BA from Antioch College and his MSW from NYU. Alex spent his adolescence in the late 80’s and early 90s riding his skateboard in downtown Durham, a very different era for this city. He moved back to the Triangle in 2010 with his wife, Alys, with whom he now has three children. Shiesha received her Bachelor of Arts in Psychology and Master of Social Work from North Carolina State University. She specializes in working with transition age youth and has done so in the foster care system, day treatment programs and in the private outpatient therapy sector. Shiesha facilitates Independent Living Skills Groups to assist young people with developing the skills necessary to live independently. Latasha provide daily support to staff and residents of Life Skills Foundation with the following services: case management, wraparound support, developing transitional plans for clients, serving as an intermediary between clients and service agencies. Latasha earned a BA in Political Science from Winston-Salem State University with a concentration in Public Administration in 2014. Since then, she has worked as an Advocate for Transition Age Youth. Her experience includes working in school systems in North Carolina and Ohio, providing support to school staff, and mentoring students. She has served in leadership positions ensuring that young people have access to scholarships to aid in post-secondary education. 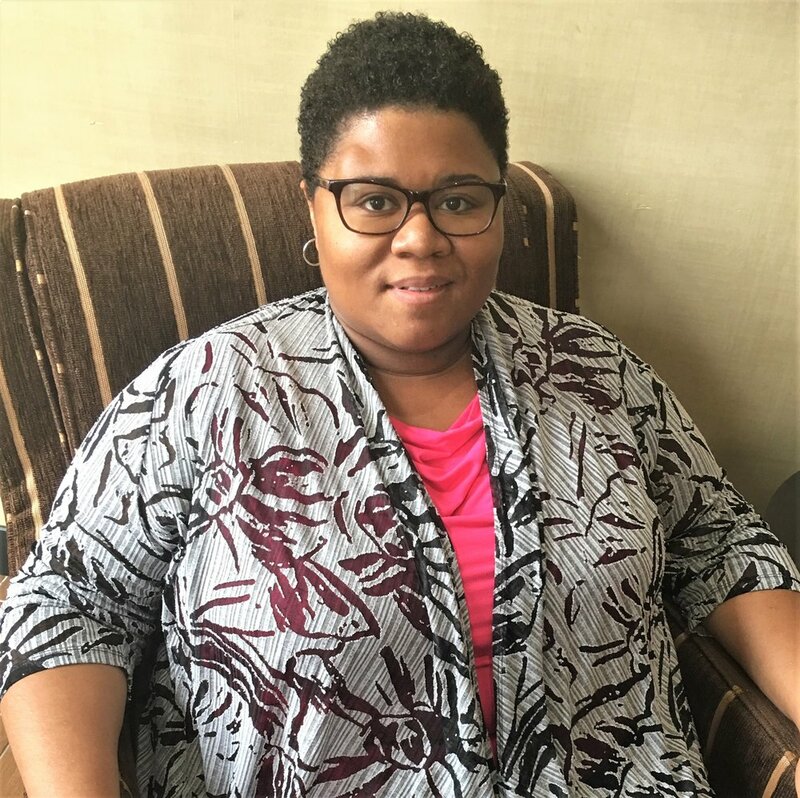 Aside from working within the social work field, Latasha has advocated for Youth in Care at the National level since 2016 as a member of the National Foster Youth & Alumni Policy Council. Latasha believes that every young person in care should have direct input about their rights, and the laws that affect them. Rashidah provides one on one academic support,educational and career navigation, and group career coaching. She attended Saint Francis College in Brooklyn, New York and earned a Bachelor of Arts in Sociology with a concentration in social work. She has worked with youth in foster care for the past 18 years. She has a wealth of experience in child protective work, foster home supervision, and working with transition age youth and transitional living programs. Rashidah is passionate about assisting transition age youth with developing the necessary tools to become self sufficient adults. Christelle is a New Jersey native who suddenly found herself enjoying some ‘southern hospitality.' After getting her B.S. in Psychology from Delaware State University, she moved to North Carolina and enrolled in NCCU’s masters of social work program. Christelle has worked with a variety of clients with mental health and developmental challenges, and is passionate about supporting those who cannot yet support themselves. Christelle lives on-site and provides after hours support to residents. Laura has held leadership positions in Durham nonprofits since 1996. She has worked with Made in Durham, Dryad, One World Market and The World Library Partnership. She holds a BA in Biopsychology from Oberlin College where she graduated Phi Beta Kappa. She served in Peace Corps in Togo where she learned to speak French, helped to start a community library and enjoyed making fufu. She is proud to help the LIFE Skills team connect individuals with life-changing opportunities. She is working to build strong internal systems to track the organization's impact and increase its capacity. Laura shares her home with her husband, her teenage son and daughter and a variety of critters. She spends her free time out on the trail with her horses. Laura is the Independent Living Coordinator at LIFE Skills Foundation, where she provides clinical services as well as independent living skills to youth ages 16-21. She has been working in the field of mental health with children, adolescents, and families for eight years. Laura graduated from Campbell University in 2007 with a Bachelors of Social Work, and from UNC Chapel Hill in 2010 with a Masters of Social Work with a concentration in child and adolescent mental health. Laura is a Licensed Clinical Social Worker, and first began working with the Independent Living Program as an intern in 2009. She is passionate about helping young adults to feel empowered and overcome the challenges they face. Laura lives in Durham with her husband and daughter. Huge thanks to our wonderful Interns past and present! We really value your contribution to our work. Sumi is an Assistant Professor of the Practice in Global Health at Duke University. Dr. Ariely holds a PhD in Psychology with a focus on cognitive development and culture. She has been active in applied and basic research and has international experience with global and public health issues in a variety of contexts. Ariely lived in West-Africa for two years during which she worked on maternal and child health care and with communities at risk for HIV/AIDS exposure. As a developmental psychologist she is interested in the inter-relations between cultural, social, and biological influences on development, health behaviors, and outcomes. Dr. Ariely has a passion for teaching and mentoring, directs the DGHI student research training sites in a variety of places, including India and Uganda, and is involved in research examining the transition orphans and vulnerable children make from institutions to communities in Africa and Asia. Before coming to Duke, she worked at MIT where she taught classes in developmental psychology, seminars on research and assessment, and served as advisor to MBA students interning as social entrepreneur consultants for local and international NGOs. Joe is an executive with 20+ years of experience in sales, marketing, business development, account management and IT. He has leadership experience in multiple industries: technology, consumer packaged goods, market research and business services. Joe is a Durham native with both an undergraduate degree and an MBA from Duke University. Tim is co-director of Carolina Outreach, LLC. He has worked in the field of mental health since 1990, with experience in direct services, research, and management. Tim earned his Bachelor of Arts in sociology from North Carolina State University and his Master of Social Work from the University of North Carolina at Chapel Hill. He has been a board member for other youth and family-related non-profits, including the National Family Preservation Network and Scottie's Place. He lives in Durham with his wife and three children. David is a long-time collaborator with LIFE Skills Foundation who has lived in Durham for over 20 years. He is a program evaluator with the Chapel Hill Center of the Pacific Institute for Research and Evaluation, where he has worked most of his professional life. His work there has included research, technical assistance and evaluation activities that most often concern substance abuse and other behavioral health prevention projects. He facilitates the use of participatory evaluation techniques to assist these projects as they implement evidence-based programs, document their accomplishments, and learn from their experiences. He has a vested interest in the outcomes for young adults, and served as the Director of the BECOMING Project, which engaged young adults through advocacy, life skills, and resource connections as a part of Alliance Behavioral Health Services. David is a graduate of Duke University and has a Ph.D. in Social Psychology from the University of North Carolina at Chapel Hill. Brian is the CEO of Romr, Inc., a Chapel Hill, NC startup applying mobile, social and digital mapping technologies for the enhancement of recreational land use. Brian is an accomplished technology executive and entrepreneur, having founded and managed several Internet-based big data, business intelligence and advertising/marketing companies. He received a Master's in Public Policy from Duke University, studied graduate Geography at the University of Kentucky, and received a Bachelor of Arts in Geography from the University of North Carolina at Wilmington. Joe is a licensed clinical psychologist, Professor and Director of the Addiction Division in the Department of Psychiatry and Behavioral Sciences in the Duke University School of Medicine. His life's work has been to gain a better understanding of addiction through research, and to develop and test new and more effective interventions to help people suffering with drug abuse. He and his wife Emily are native Missourians, but they and their 4 kids call Durham, NC home now. When he's not at work or chasing the kids around he's running area trails, playing music with the kids or out in the garden. Tom is co-director of Carolina Outreach, LLC. He has worked with children and their families in both residential and community-based settings since 1988. Tom earned a Bachelor of Arts in psychology from the State University of New York at Oneonta and his Master of Social Work from the University of North Carolina at Chapel Hill. He lives in Chapel Hill with his wife, Jackie, and son, Ethan. LaHoma is a Health Communication specialist. Her experience includes managing complex statewide, national, and international public health programs, teaching public health courses, applying scientific research to program operations and interventions, handling media relations, conducting communications research, writing proposals, developing curricula and educational materials, and conducting public health education workshops for U.S. and international audiences. LaHoma has worked extensively in the area of reproductive health including the prevention of HIV/AIDS and other STDs. She has developed a network of colleagues throughout government and non-governmental programs to integrate research findings into communication and training programs targeting service providers, policy makers and family planning clients. She has worked with the media, and has made numerous television and radio appearances. She has substantive work experience in nine developing countries and has good command of both conversational and professional French. Jason is founder of Worth Telecom Advisors, a consulting firm specializing in real-estate and telecom land-use rights. Jason briefly studied architecture before disappointing his parents by moving to the US and buying a security alarm business instead– which he subsequently sold several years later and regained use of the family name. Jason is also the founder of MyServicesNow, Blackstone R.E. Tech Mgmt and a patent holder of Tournitab; built-in tourniquets for military uniforms. Jason’s goal in life is to be a disruptive social entrepreneur and to evangelize others to do the same. Aminah was born in Greenville, SC, the daughter of educators and the younger of two children. She spent her formative years in Amherst, MA, and Lawrence, KS, before moving to Durham in 1999, to attend Duke University. She earned her Bachelor’s degree in Sociology, with a minor in Chemistry in 2003 and her J.D from the University of North Carolina School Of Law in 2007. Following law school, she worked in personal injury litigation (negotiations, mediations, arbitrations and jury trials). For the past seven years, she has been proudly serving the citizens of Durham as Magistrate Judge, performing marriages and presiding over landlord-tenant cases and Small Claims Court. She is a member of Alpha Kappa Alpha Sorority, Inc., International Association of Women Judges, North Carolina Magistrates Association, Duke Campus Club, and participates actively with the Durham Youth Alliance. She enjoys International travel and writing. A piece of her work on housing discrimination was recently published in The Encyclopedia of Diversity and Social Justice, Rowman & Littlefield, 2014.